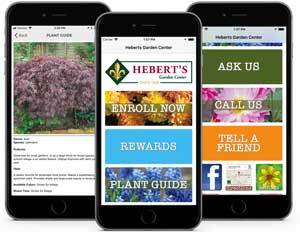 Hebert’s is much more than just a garden center. We offer complete computerized landscape planning and installation services. We’ve helped to create gorgeous southern gardens for generations of Louisiana gardeners. We can help you with garden ideas from DIY designs to complete landscape renovations. Potting Services – We offer complete custom design and planting of your containers and patio planters. We can help with window boxes, urns, and more. We hope you will stop by the garden center today!